Spoil your best friend, or give your pet loving friend something nice for their 4 legged pal. 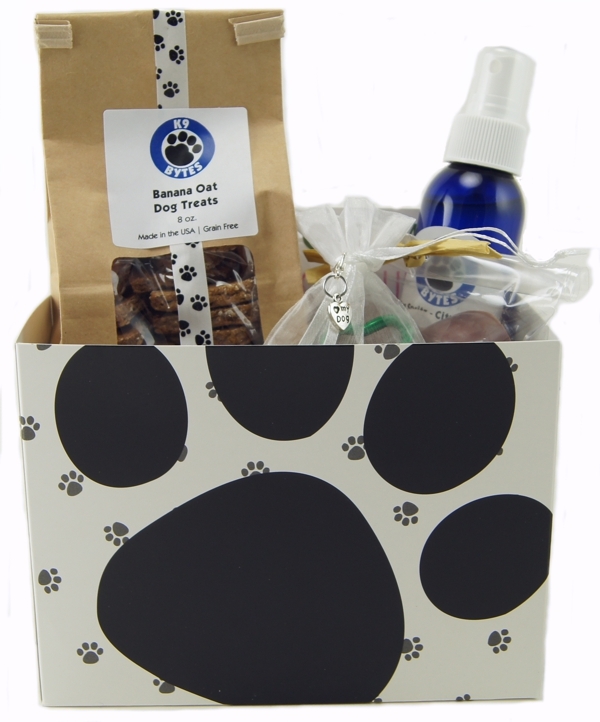 Our gift boxes are perfect for a new pet, a thank you gift, birthday or Christmas present. Packaged in paw print box, wrapped in cellophane and tied with a paw print bow. Treat flavor and Spritz fragrance may vary. 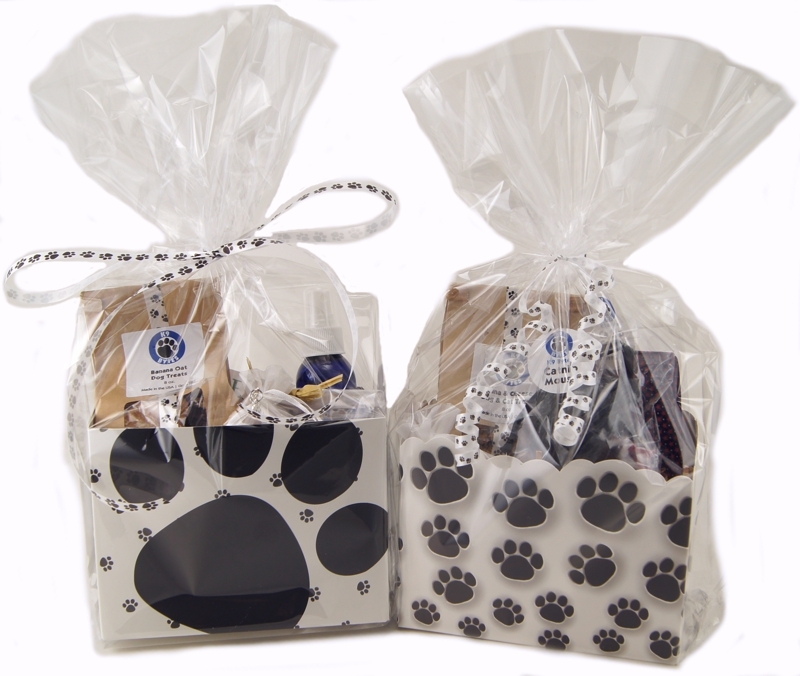 Packaged in paw print box, wrapped in cellophane and tied with a paw print ribbon. Catnip candy and catnip pillow patterns will vary.